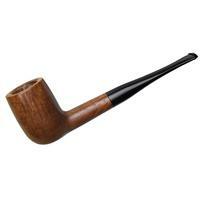 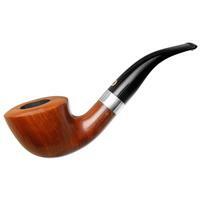 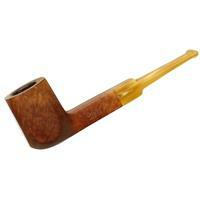 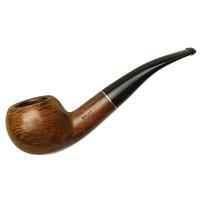 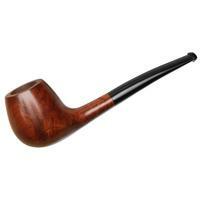 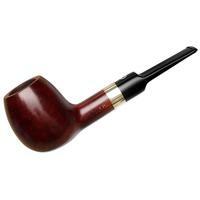 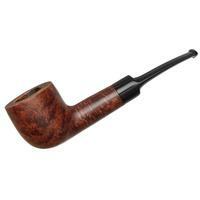 While this is a fairly classical Italian shape, deeply bent and trumpeting of bowl, the finish is quite remarkable. 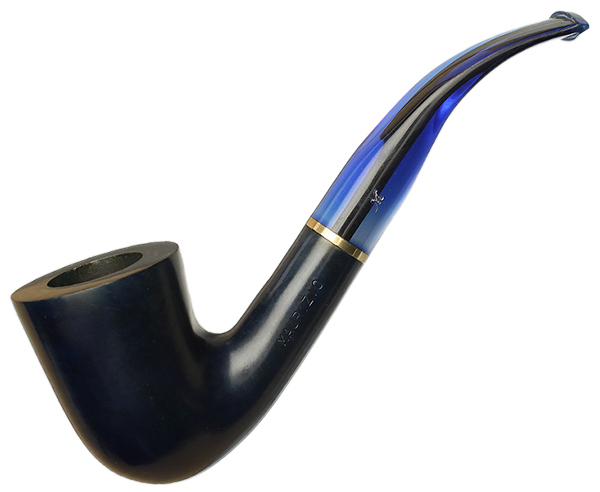 Though faded, it is a quite obvious navy blue, with a vibrant acrylic stem to accent, making the whole thing quite the eye-catcher. 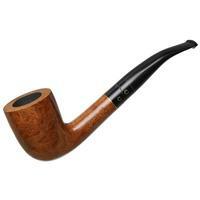 Apart from the fading and a few small scratches, condition is very good.